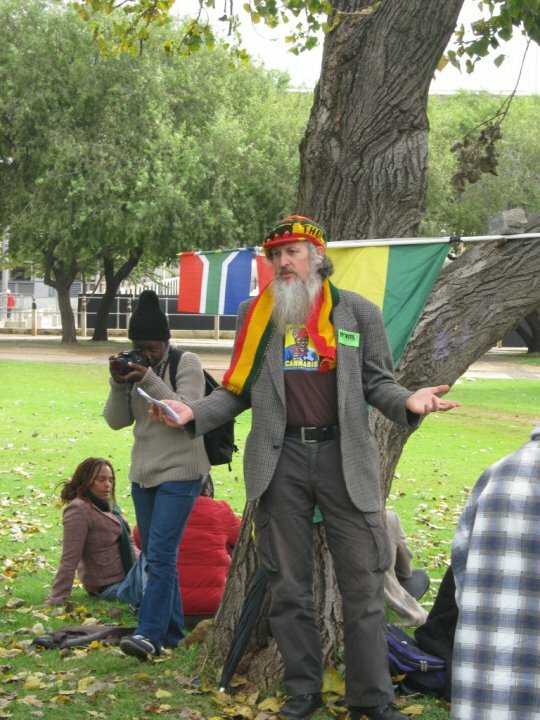 Cannabis activist Peter Charles Freeman Miller was last seen on February 23. 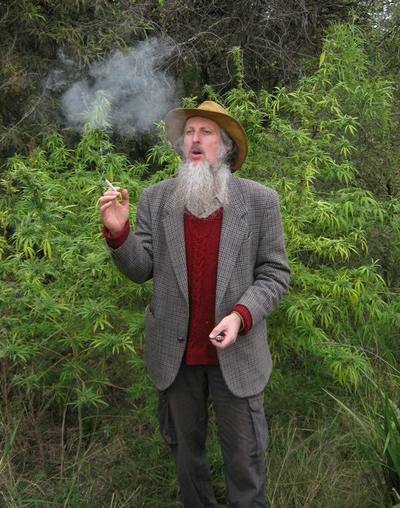 ​A South African humanitarian and marijuana activist whose cultivation case was recently thrown out of court has been missing for more than 72 hours under suspicious circumstances. 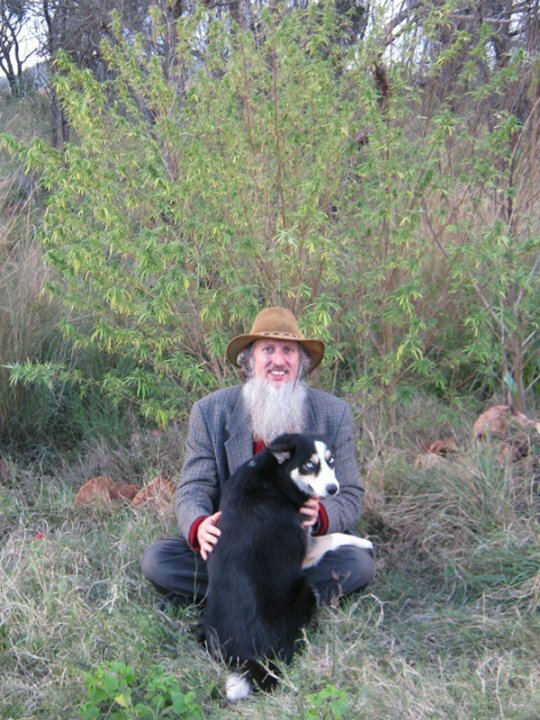 Peter Charles Freeman of the family Miller has been well known as a cannabis and industrial hemp activist in South Africa for a number of years. Peter was arrested on Friday, February 18 for cannabis cultivation, after which his case was thrown out when he claimed his human rights, using the book The Report. He told his wife on Tuesday, February 22 that he was under the impression that “somebody wanted to stop him” from his efforts to decriminalize marijuana. Peter, who served as public liaison officer for NORML South Africa, was last seen at his home in the Reeds Centurion wearing a pair of blue shorts on February 23. The house was found unlocked and the door was open. His keys were left inside the house, and his blue hat was lying on the front patio. He did not leave a note, nor did he take any belongings, which is very unusual behavior for Peter, according to his friends. Supporters are being asked to show their solidarity by joining the Missing Green Activist Facebook page which has been set up for Peter. Anyone with more information or who might be able to assist in finding Peter Freeman of the family Miller can telephone 079 655 4711 or email [email protected]. 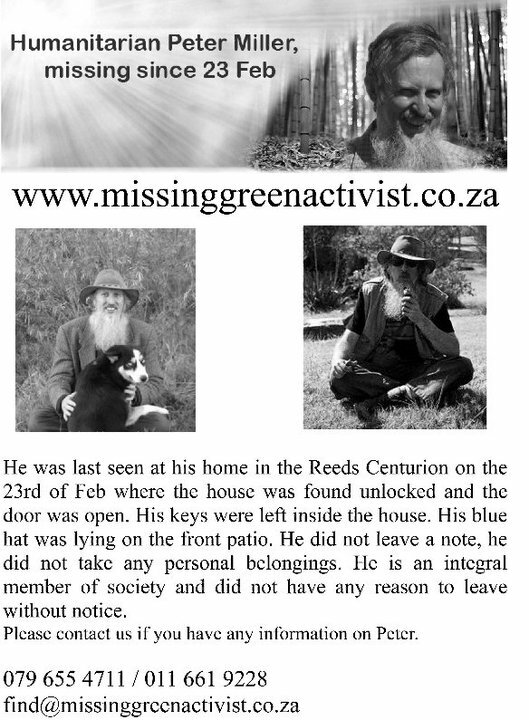 For more information, visit http://missinggreenactivist.co.za/. Next Article Does Marijuana Really Need A Big-Box Store Like Walmart?